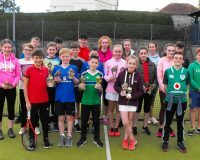 At a sundrenched Enniskillen, the Lakeland Veterinary Services Junior tournament took place with a very healthy entry from all over Ireland. Junior players from Claremorris, Donegal, Portadown, City of Derry, Newcastle, Cavan, Mullingar, Ballymena and Dublin and the local clubs of Omagh and Irvinestown descended on Enniskillen Tennis Club for a weekend of fun and competition. 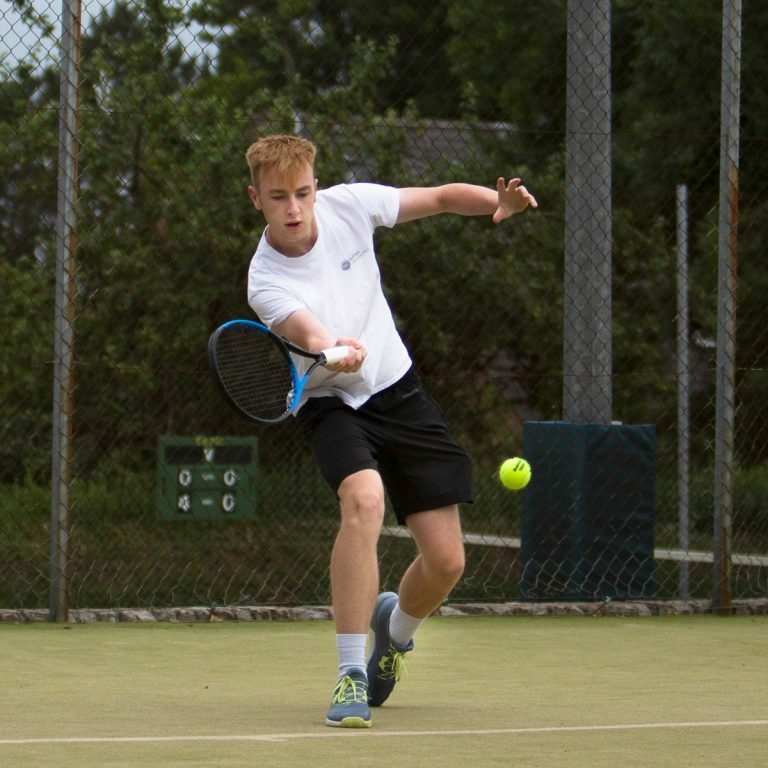 The U18 Boys Singles saw Senan Cullinane pull through in a tight three setter over Newcastle’s Josh Cunningham. However, Senan’s path to the final was interrupted by Michael Hatrick who is a another regular visitor to this tournament. In the other half of the draw, it was Irvinestown’s Kyran Maguire who came through justifying his number one seeding. 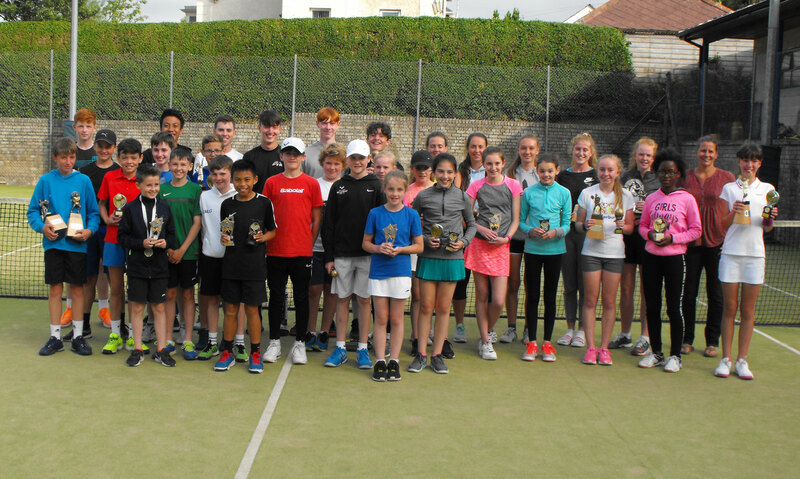 In a final full of quality, it was Kyran who emerged victorious with a fine 6-3 6-1 win lifting the coveted trophy in his final year as a junior. 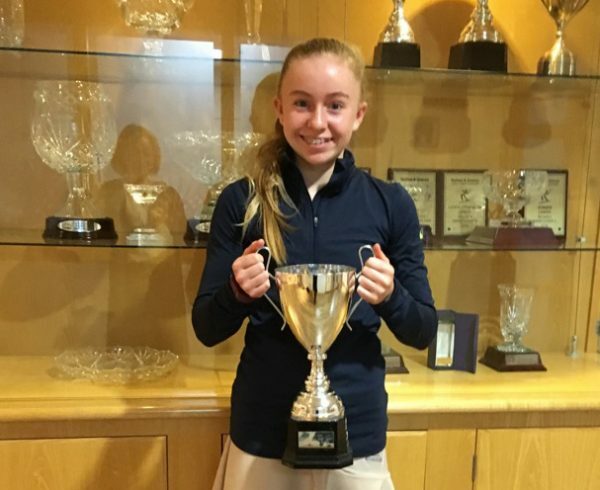 The U18 Girls Singles saw Katie McManus from Manorhamilton emerge the convincing winner with outstanding baseline rallies a feature of her performances. Runner up Amy Griffin put in a sparkling performance in a very tight match against Dublin’s Sarah Al Mukhaizeem. 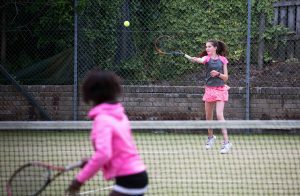 Both girls gave their all, with chances to take the match, but it was Amy who clinched it 11-9 in a final set tie-break. Julia Wawrzniak also contributed handsomely to this event but lost narrowly to Amy in a quality match. The U16 and U14 Boys singles were both won by the very talented Andrew Hatrick (City of Derry) with wins over Ned Burke and Jason McMurray respectively (ATT). 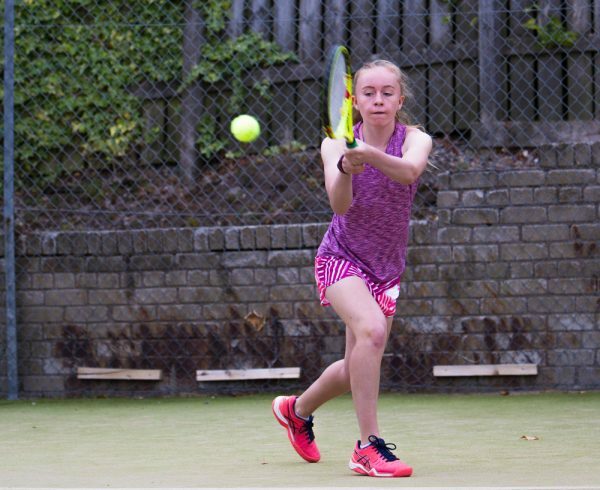 However in the U16 Girls Singles, it was Enniskillen’s Eve Callaghan who really shone brightly in this event, with some accurate and consistent baseline rallying against the number 1 seed Anna McGreal from Dublin. In a match that pushed the number 1 seed all the way, Eve only just lost out 11-9 in the third set tie-break which was undoubtedly the match of the tournament. 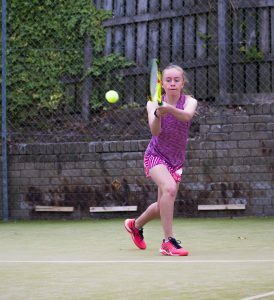 Eve did gain some compensation by taking the U14 Girls Singles in convincing fashion. 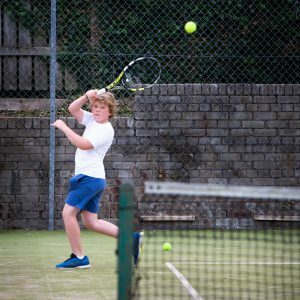 The U12 Boys Singles was won by Billy Cannon (Portadown) who only just edged out local boy Rory Smyth. The match was probably decided in a tense first set tiebreak and Billy took the match 7-6 6-4. However there was much to like in young Rory’s performance that would suggest there are better things to come. 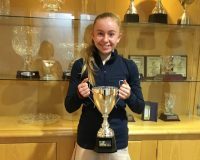 Emily O’Beirne’s visit to Fermanagh was not in vain as the Kells girl took the decisive match in the U12 Girls Singles against Aoibheann King (Enniskillen) 6-3 7-5 in a match of see-sawing fortunes. 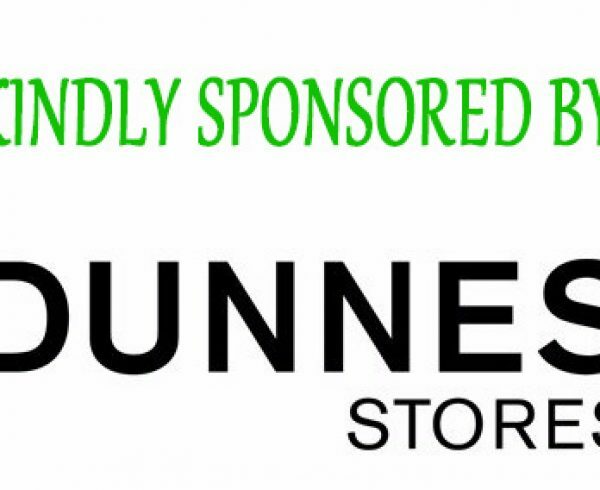 These type of matches will undoubtedly help Aoibheann to gain valuable experience at this level. 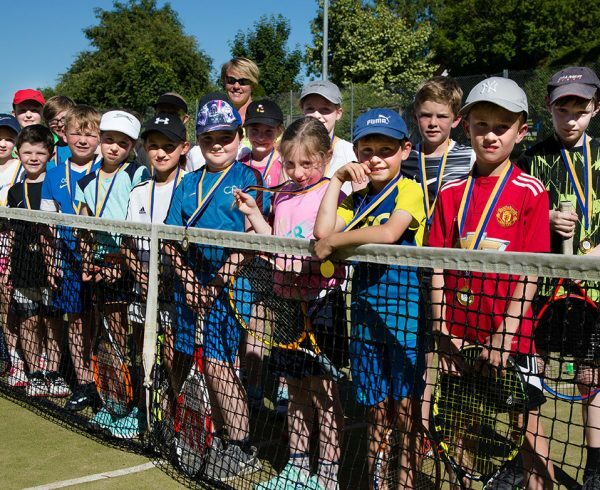 This tournament is not all about those who play tennis every week of the year. It is also for those who dip in and out of the sport and novice events are for those who have not experienced competitions at this level before. 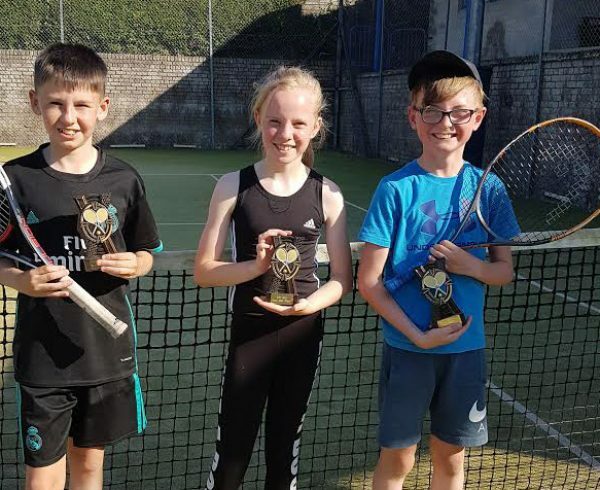 The Novice doubles was won by the ever-improving Owen Kelly and Louise Deery. Sisters Rhianne and Ciara McGuinness also enjoyed a closely fought win over Cate Grimes and Carla Smith in this event. The novice singles was deservedly won by Irvinestown’s Angelina Gcado Okandebele. Angelina came out the right side of two very close encounters against local girls Rhianne McGuinness and Louise Deery. The presentation was carried out by Sonja Hateboer on behalf of the sponsor, Lakeland Veterinary Services. 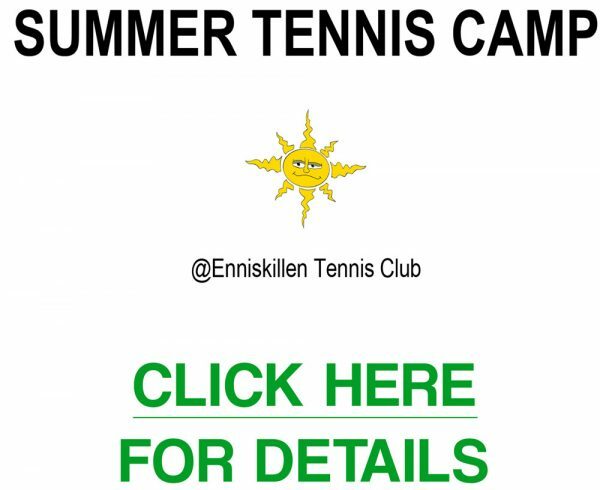 This is the fifth year they have sponsored this prestigious event which draws many visitors to Fermanagh. 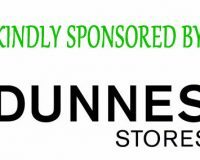 The raffle was also generously supported by local businesses Monaghan Bros Lisnaskea, Leslie’s Coffee Shop, Fermanagh Cottage Industries, Sloan’s Shoes and The Jolly Sandwich. 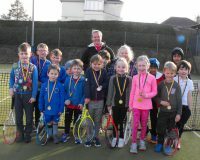 The parents and juniors contributed to a great atmosphere over the weekend making it a memorable experience for all concerned. 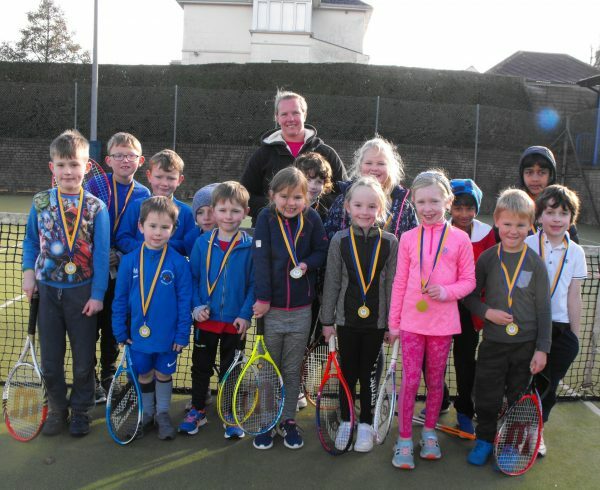 A visit made to the club during the tournament by Greg O’Rawe, President of Ulster Branch Tennis Ireland was very much appreciated.